The exempt salary threshold level will increase from the current minimum of $455 per week ($23,660 annually) to $913 per week ($47,476 annually). Employees who are paid less than the $47,476 will be entitled to overtime pay for hours worked over 40 per week. The final ruling allows employers to use non-discretionary bonuses and incentive payments including commissions paid at least quarterly toward the new threshold. When larger bonuses are paid, the amount that may be attributed to the standard salary level is capped at 10% of the new minimum salary threshold. The rule increases the total annual compensation level required to exempt highly compensated executives to $134,004. To qualify for an HCE exemption, an employee must receive a minimum of $913 per week and pass a minimal duties test. There were no changes to the duties test. The salary threshold will be updated every three years beginning in January 2020. Updates will be based on the standard salary level of the 40th percentile of earnings of full time salaried workers in the lowest wage region which is the South. It is expected that the salary threshold will increase to $51,000 with the first update in 2020. The new regulation will take effect on December 1, 2016. Organizations will have 6 months to review and adjust their pay practices and employee classifications. Reviewing overtime hours for exempt positions whose pay falls below the new threshold. Cost modeling the financial implications of the DOL changes on your organization; including changes to benefits, if any. Evaluating the impact of incentives and commissions paid on the new minimum salary level. Determining pay and communication changes for exempt employees moving to nonexempt status. Training staff on new changes. 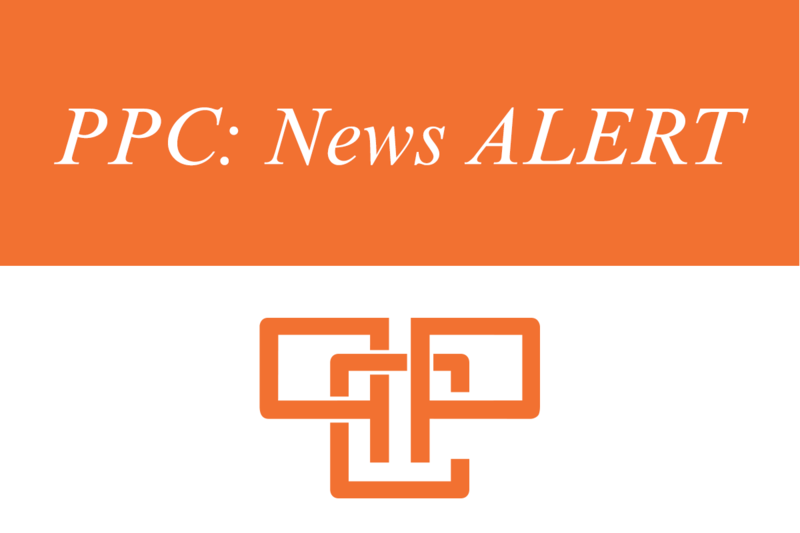 PPC is available to assist in determining the impact of these changes on your organization. Contact Linda Ulrich at 413-262-6739 to discuss further. This publication is for information only and does not constitute legal advice; consult with legal, tax, and other advisors before applying this information within your organization. If you do not wish to receive the PPC Newsletter, please reply to this email with “unsubscribe” in the subject line.